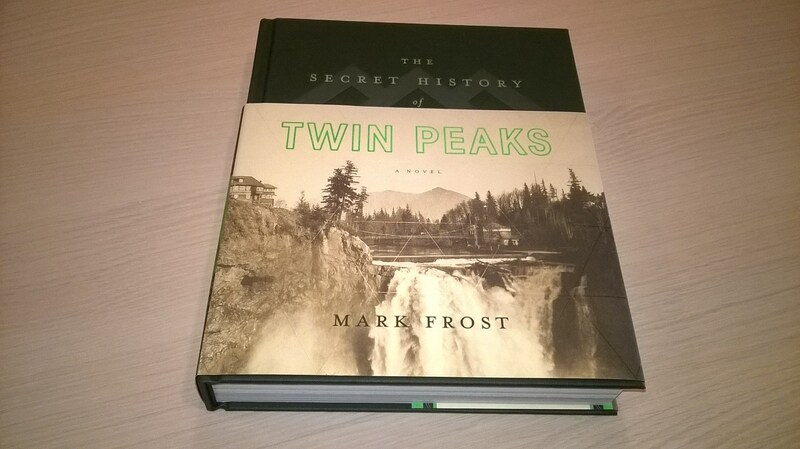 Mark Frost’s The Secret History of Twin Peaks is being promoted as “the story millions of fans have been waiting for to get their hands on for 25 long years,” but so far we’ve been kept pretty much in the dark on what his novel is actually about. Even the author himself recently read a short yet touching fragment without giving much away. But thanks to an abstract published by the book’s French publisher, Michel Lafon, we finally get some highly desired context. SPOILER ALERT: This summary includes a potential spoiler for the new series regarding Dale Cooper! So, take a guess, who do you think put together the dossier? And do we know this female FBI agent? The book and audio version will be released October 18, 2016, followed by several translations including French (Amazon) and German (Amazon). En 1991, Laura Palmer, une jolie lycéenne connue et aimée de tous, est retrouvée emballée dans un sac en plastique sur la berge d’une rivière. L’agent spécial du FBI Dale Cooper est désigné pour mener l’enquête. Dale, qui nourrit sa recherche d’indices que lui procurent ses rêves, découvre que Laura Palmer n’était pas celle que l’on croyait et que de nombreux habitants de la ville ont quelque chose à cacher… Il n’empêche que l’affaire Laura Palmer n’est toujours pas résolue. Vingt-cinq ans plus tard, en 2016, le FBI met la main sur un coffre dont il ne divulgue pas la provenance. Dans ce coffre, un énorme dossier… Une agente est chargée d’analyser la somme de documents qu’il contient, et qui tous concernent l’étrange ville de Twin Peaks. Elle doit aussi déterminer l’identité de celui qui l’a constitué. Elle y découvre des secrets sur la vie des habitants, mais aussi les rapports d’enquête de Dale Cooper qui s’est depuis volatilisé, des extraits de journaux, un compte-rendu d’autopsie, des lettres et d’autres renseignements classifiés… Que s’est-il passé depuis la disparition de la jeune femme et pourquoi un « archiviste » anonyme a-t-il compilé un tel dossier sur la ville et ses origines ? Note: They got the year of Laura Palmer’s murder (not ‘disappearance’) wrong. It’s really 1989 instead of 1991. Probably just a mistake on their part. Thanks to Christophe Dos Santos Pereira. I hope it’s Laura Dern! Also, could this also be the plot for the new season, with a female FBI agent main character? There’s a secret about how the FBI obtained the box, not just who put together the file. The French text doesn’t say they got it anonymously. Only the person who put the file together is said to be anonymous/unknown. 2) “reports from Dale Cooper’s investigation that had vanished” is wrong. It reads “investigation reports from Dale Cooper, who has since vanished”. This basically confirms that Dale hasn’t yet resurfaced. PS: “Disparition” isn’t a mistake. It’s used commonly as an euphemistic synonym for “death” in French. Thank you, Dominic! I had already changed the Cooper part. Will fix the text about the box. Hmm…what if the female FBI agent is Audrey? The FBI agent is Diane, who finished at Quantico in part because of her devotion to Dale Cooper. Played by Laura Dern, she now becomes submerged into the details of this town, the laSt place Cooper was seen before his disappearance. Diane finally comes full circle with a town she had only heard about. Diane (Naomi Watts), who knows more about Coop and the Palmer Case then anyone, due to Coop obsessively sending her tapes, archives all the information and discreetly leaves it on the desk of Female Agent Laura Dern, who immediately begins to try and wrap her head around the world of Twin Peaks. Diane wants to be discreet about this because she realizes the abnormality of this situation, and insists on Coop’s innocence. BUT the FBI have already pinned the murder of JUDY on him aka Coop’s Doppelganger. (JUDY = the dead young woman mentioned in the summary, and also the name David Bowie & The Monkey keep saying in FWWM). Are we actually going to see Diane? No-one knows – it’s purely fan hearsay which had gained a bit of momentum. She *may* appear, I suppose, but would spoil her mystique a little. I love the idea of the book being a series of fragments – a neat way of introducing some new information without giving too much away pre-series. Coop’s disappearance also sounds a promising hook on which to hang a new mystery. I would guess Coop returns pretty early in the new series given the amount of filming Kyle MacLachlan seems to have put into this. Did you see this correction from Flatiron Books? if audrey is the new FBI agent, I ope she addresses all her tape recordings to Dale. to me, what is described above sounds like it is the plot of mark frost’s novel, not necessarily the plot of the upcoming showtime series. so there may not be that close of a connection. in a way, i hope there isn’t, since having the novel and the series less directly connected would jusy serve to open up even more of the world of twin peaks. It is the plot of the book… hence the headline. No-one said it would be the plot of the series. Anybody knows when the will be sell the book in Spain? en octubre 18′ como en los estados unidos. sin embargo, yo, no sé si estará en español. he oido esta disponible en america latina. no se si estara disponible en espanol en espana! The book is already out in Holland!! !